Aircraft information: The first flight of the Citation series took place in September of 1969. FAA certification was received in September 1971, two years after the first flight of the FanJet 500. The last delivery of the Citation I occurred in 1985. 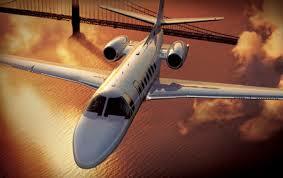 After the Citation I, many other Citation variants were designed and received FAA certification. The Citation CE-500 series (CE-500 Type Rating) jets marked the beginning of the largest family of corporate jets and pioneered the business jet market. More than 2,000 aircraft that are covered by this type rating are currently delivered. 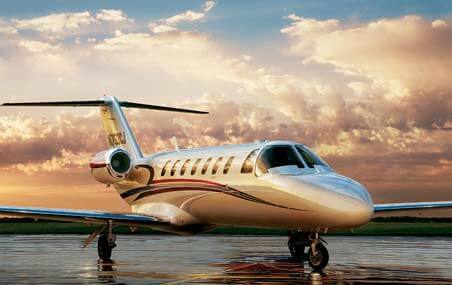 The Citation Encore+ was the last model built covered by the CE-500 type rating. Cessna is no longer producing the Encore+. This CE-500 type rating course leads to the Pilot in Command type rating. This type rating will be added to a FAA Private, Commercial, or Airline Transport Pilot license. This Ce-500 type rating course meets the FAA Type Ratings practical standards (which is the same as the ATP practical test standards). Upon completion of the practical test, a Pilot in Command type rating (for PIC type rating) will be added to your FAA license. Since the practical test and check-ride is completed in the aircraft, there will be not be any restrictions on your license. Get your CE-500 type rating now! This CE-500 type rating course leads to the Second in Command type rating. This type rating will be added to a FAA Private, Commercial, or Airline Transport Pilot license. This upgrade CE-500 type rating course meets the FAA Type Ratings practical standards (which is the same as the ATP practical test standards). Upon completion of the practical test, a Pilot in Command type rating will be added to your FAA license. Since the practical test and check-ride is completed in the aircraft, there will not be any restrictions on your license. This CE-500 type rating recurrent course meets the FAA type ratings practical standards, and the requirements of 61.58. Upon completion of the FAA Check-ride, a 61.58 endorsement and a recurrent course completion certificate will be issued. Premier Jet Training offers the Single-Pilot Exemption for the Cessna Citation Models CE-500, CE-550, CE-S550, CE-550 Bravo, CE-552, CE-560, CE-560 Ultra, and CE-560 Encore.